Knoxville, TN lawyer Steve Oberman has been practicing in the Knoxville area since his graduation from The University of Tennessee College of Law in 1980. Since that time Steve has honed his legal practice to defending those accused of driving under the influence (Tennessee law refers to this crime as DUI). 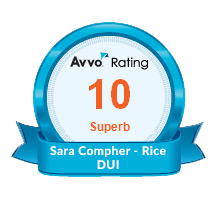 In 2006 he became the first DUI lawyer in the State of Tennessee to be recognized as a board certified specialist in the area of DUI Defense Law by the Tennessee Commission on Continuing Legal Education and Specialization and the National College for DUI Defense, Inc.
Knoxville, Tennessee lawyer Sara Compher-Rice also began her practice in Knoxville, TN after her 2002 graduation from The University of Tennessee College of Law. Sara counts herself as fortunate to have had the opportunity to learn from and practice with fellow Knoxville DUI lawyer Steve Oberman. She was further humbled when she became a named member of the firm in 2010. 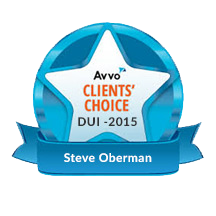 Like Steve, Sara focuses her legal practice on defending those charged with DUI and other driving and/or alcohol-related offenses. The office of Knoxville, Tennessee lawyers Steve Oberman and Sara Compher-Rice is located in downtown Knoxville on the seventh floor of the Bank of America building, less than two blocks from the Knox County Courthouse. Misdemeanor Court: This division of Sessions Court hears all misdemeanor cases other than driving under the influence cases. Knoxville, Tennessee lawyers appearing in the Misdemeanor division defend clients charged with crimes such as Underage Consumption, Public Intoxication, Simple (Drug) Possession, Possession of Drug Paraphernalia, and Driving on a Revoked License. DUI Court: All Knoxville and Knox County DUI cases are heard in the DUI division of Sessions Court, including felony DUI offenses (driving under the influence, 4th offense or greater) and all other charges stemming from the DUI arrest. Knoxville, TN attorneys also appear in this court to represent clients at the arraignment of a DUI or related charge. Felony Court: This division of Sessions Court hears all felony cases other than driving under the influence cases. Bonded Arraignment/Traffic Court: Knoxville, TN lawyers appearing in this court represent clients for a wide array of matters. All Knox County ordinance violations, environmental violations and traffic tickets (typically issued by a Tennessee State Trooper or Knox County Sheriff’s Deputy) are heard in this court beginning at 9:00 a.m. Once these matters are concluded, all Bonded Arraignment matters, other than arraignments for driving under the influence, are heard. Civil Court: Knoxville, Tennessee lawyers with Civil and Detainer (landlord-tenant) cases appear in the Civil Division of General Sessions Court.